The Bible Project is a great tool to understand what the Bible is all about. You can get the big picture of books or an overview of the major themes throughout Scripture. I recently had a friend and mentor tell me he watched one video a day until he got through the entire Bible. This man will forget more than I will ever know about Scripture. Yet, he knows staying in the Word keeps him fresh and hungry for more. Use the Bible Project to get an overview of the entirety of Scripture. One book a week will take 15 months. It makes you throw up your hands in awe of the God we serve. Multiple human authors on several continents recording a message spanning thousands of years with the same message! Take that miracle off the shelf through the medium of well done videos. You might not read the Bible enough, but the good folks at The Bible Project have helped us access this truth in new and rich ways. Curious? 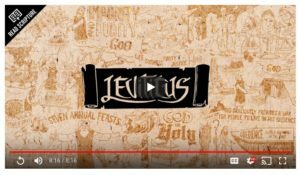 Take a look at the least understood book of the Bible, Leviticus. I would be stunned if you do not walk away from an eight minute investment with a deeper understanding of this amazing book.